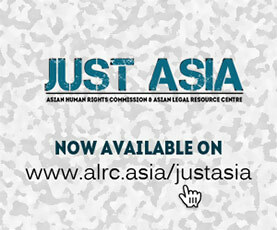 The Asian Legal Resource Centre (ALRC) held a side event on enforced disappearances and extra judicial killing in Pakistan and also had long discussion with the UN Working Group on Enforced and Involuntary Disappearances (WGEID). On June 20, the delegation of ALRC submitted a 160-page report on enforced disappearances and extra judicial killings in Pakistan, citing the cases and also the updated list of disappeared persons. 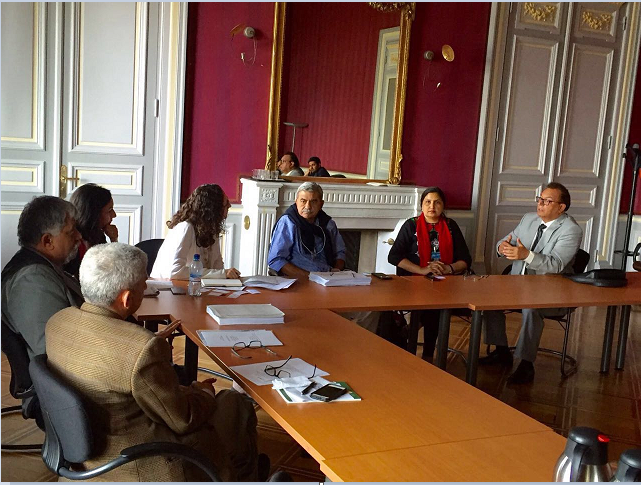 The delegation of WGEID, led by Ms. Gabriela Guzman, secretary of WGEID and Human Rights Officer, Protection, Religion, Accountability & Human Security Session, expressed its concern regarding the continuous phenomenon of enforced disappearances by the law enforcement agencies particularly in Balochistan and Sindh provinces and unbridled powers to law enforcement agencies including military. This comprehensive report contains data and cases of torture, extra judicial killing and of missing persons. Ms. Gabriela Guzman said that the points discussed during the meeting, along with the joint report submitted by the different organizations under the banner of Asian Legal Resource Center, will be shared with WGEID Members. Recognizing the alarming human rights situation in Balochistan and Sindh including Karachi, she told the meeting that the WGEID fact finding report based on the country visit during the period of 2012-2016 will be published this year. This report has already been sent to the Government of Pakistan but there is no response and follow up on that, she added. She assured that the WGEID is extensively engaged for making follow up on the individual cases of the enforced disappearances and other human rights violations. Ms. Gebreila said that the team of WGEID visited Pakistan in 2012 and made a report on its visit and discussions with various stake holders including victim families but still did not find follow-up on the recommendations of WGEID. She pointed out that in September session of UN Human Rights Council report on disappearances will be submitted which will cover the situation in different countries. The delegation of ALRC shared the situation of the rule of law in Pakistan and raised serious concerns on the gross human rights violations in Pakistan. Delegation particularly pointed out the recent cases of disappearances, killings and torture in custody of the political workers and activists of movements in Sindh including Karachi and other different parts of Balochistan. It also highlighted the genuine concerns of the Pakistani civil society on the chronic absence of the rule of law, rampant extra judicial killings and the culture of impunity, enjoyed by the law enforcing officials in Pakistan. The delegation, urged response from the Working Group on individual cases of extra judicial killings and missing persons in all the provinces. In response to the concerns raised by the delegates, Ms. Gebreila Guzman said that the points discussed during the meeting, along with the joint report submitted by the different organizations under the banner of Asian Legal Resource Center, will be shared with WGEID Members. The delegation of ALRC was consisted of Mr. Baseer Naweed, ALRC, Ms. Bushra Khaliq, Executive Director, Women in Struggle for Empowerment (WISE), Mr. Hammal Haidar Baloch, Balochistan Nationalist Movement Mr. Sardar Shoukat Kashmiri, UKPNP, Mr. Nasir Aziz, UKPNP, Mr. Dilip Kumar, Chairperson of Sindh Human Rights Watch, Mr. Hasan Mujtaba, writer and columnist, Mr. Sufi Laghari, Sindhi Foundation, and Hatim Baloch of Baloch Human Rights Council. On June 21, the ALRC held a side event at UN Human Rights Council building on the enforced disappearances and extra judicial killings. The speakers at the side event were experts in their field and prominent activist working on the issue of enforced disappearances. The speakers agreed that enforced disappearances are the direct outcome of a degenerated and collapsing criminal justice system. The speakers opined that as Enforced disappearances and extra judicial killings are espoused by nearly all law enforcers, it becomes an easy way to control crime and maintain public order. The promulgation of draconian laws such as Protection of Pakistan Act (PPA) which gives unbridled power to the law enforcement agencies (LEA) particularly to the military, is a dire measure by the state failing to ensure human rights of its citizens. The speakers of the side event were; Mr. Baseer Naweed, ALRC, Mr. Sharan Srinavas of Right Livelihood Award, Mr. Fernando of UNPO, Mr. Mehran Baloch of Balochistan House, Ms. Bushra Khaliq, Executive Director, Women in Struggle for Empowerment (WISE), Mr. Hammal Haidar Baloch, Balochistan Nationalist Movement, Mr. Sardar Shoukat Kashmiri, UKPNP, Mr. Nasir Aziz, UKPNP, Mr. Lakho Lohano and Ms. Rubina of World Sindhi CongressMr. Dilip Kumar, Chairperson of Sindh Human Rights Watch, Mr. Hasan Mujtaba, writer and columnist, Mr. Sufi Laghari, Sindhi Foundation, Hatim Baloch of Baloch Human Rights Council, Mr. Arif from MQM and Mr. Munir Mengal of Voice of Balochistan. 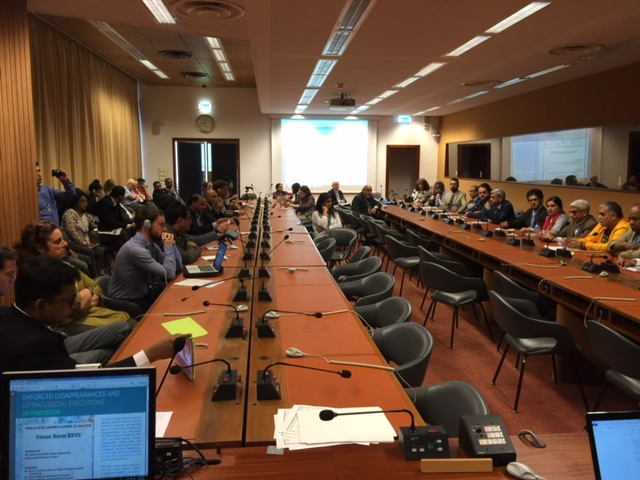 A report from Mr. Nasrullah of Voice of Baloch Missing Persons (VBMP) was also presented in the side event. The speakers pointed that the confirmed numbers of disappeared persons and extra judicial killings are not available because the government hides itself behind the terrorist activities. Those persons who were disappeared but may he reappeared they gave the names of security persons and even identified their names who tortured them in incommunicado but judiciary failed to take action against perpetrators. The cases of extra judicial killings are very much common and are reported from every province which remained high as compared to previous years. The military operation against terrorist, the Zarb-e-Azb, has proved to be worst kind of extra judicial killings. In Sindh province a new phenomenon of extra judicial killings were reported in the name of Full fry and Half fry, where police decide how to deal with the suspects, more than 100 persons were killed in the name of full fry. Pakistan’s ambassador in China boasted earlier this week that they had killed 3,400 people in military operations in Balochistan to protect the China-Pakistan Economic Corridor. Killing thousands of people just to assure China to invest money? What sort of state is Pakistan? And what sort of humanitarian values the world is defending if it cannot speak a word against this genocide of the Baloch people on their own homeland. However, unfortunately, 3,400 is not the total number of the Baloch killed by Pakistan state. The people of Pakistan are looking for justice but Pakistan is the other name of injustice. After Bosnia and Croatia, Pakistan has the highest numbers in disappearances and extra judicial killings. The mass graves of disappeared persons are found as the commissions formed to probe the mass graves but they conspicuously given impunity to the law enforcement agencies. The Kashmiris and Gilgit-Baltistan have been forced to remain in Pakistan but they do not enjoy the constitutional rights and nor they have been treated as the citizens of Pakistan. The intelligence agencies use the citizens against India in proxy war and if persons refuse to become part of proxy wars they were disappeared and after some times their dead bodies are found abandoned. The disappearances and extra judicial killings have become endemic and has been treated by the state as the best solution to deprive the people of their fundamental rights and right to life. This is the main cause of serious concerns in Pakistan where state nor government and even judiciary do not willing to eradicate the menace of disappearances and extra judicial killings. Enforced disappearances erode the structure of equity and human rights that form the basis of justice systems throughout the world. By providing impunity, the State has itself become a party in the murder of its citizens, denying them the right to fair trial and due process. The state inaction in the face of rising trend in extra judicial killings and enforced disappearance has further eroded the public confidence and shattered the hope for sustainable democratic society. Because of the absence of rule of law and criminal justice system the security agencies enjoy the impunity and it is impossible for the victims and their family members to get justice. The judiciary has totally failed to recover the disappeared persons and bring the perpetrators of disappearances and extra judicial killings before the court of law. Pakistan has been at the fore front in the war against terror thousands of innocent civilians have lost their lives and there is still no end in sight to the mindless blood and gore. Each day many nameless unfortunate souls are picked up by the agencies never to be seen or heard again. The effected families are left in a lurch to search for their loved ones. The police too don’t register an FIR the aggrieved family is even denied the right to know the whereabouts of their son, father, husband or brother the entire state machinery becomes operational to silence and threaten the suffering family. In September 2015, the government of Pakistan has admitted to having arrested 9,000 people from Balochistan in 2015 under the National Action Plan. However, rights groups fear that the number of enforced disappeared persons in 2015 could be even higher. The speakers lamented the practise of holding the victims indefinitely and without charge. The most difficult issue in addressing enforced disappearances is that the practice is largely un-documented. The “disappeared” individuals are not charged with any crime, and they never appear before any magistrate to challenge their detention or plead their innocence. They are not registered by State authorities, their whereabouts are kept unknown, each intelligence agency is unaware about the people disappeared by the other, and the victims are held indefinitely. Extra judicial killing being another dangerous and unconstitutional state practice was also discussed at the side event. Extrajudicial killings by State agencies and their proxies remain rampant across Pakistan, more specifically in Balochistan. The speakers noted that Extra judicial Enforced disappearances undermine the deepest values of any society committed to respect the rule of law and human rights, and that the systematic practice of enforced disappearances is recognized as a crime against humanity under international law. Any act of enforced disappearance is an offence to human dignity and a grave and flagrant violation of multiple human rights guarantees, including the right to recognition as a person before the law, the right to liberty and security of the person and the right not to be subjected to torture and other cruel, inhuman, or degrading treatment or punishment. The speakers said the international community was reluctant to recognize the humanitarian crisis in Balochistan, Sindh, Kashmir, KPK province and Gilgit and Baltistan and urged them particularly USA and European community to take notice of the increasing violations of human rights in Pakistan and raise the issues of enforced disappearances and extra judicial killings at the highest level. The speakers realized that this is not the only responsibility of UN but also the UAS and European Union including all those countries who are champions of human rights to review their economic and bilateral relationships with Pakistan until the state of Pakistan stop the menace of extra judicial killings and enforced disappearances.